The woman who changed her name to Stephen Tindall tells her story. Judith Bell and her husband Nelson had a young family, a promising manufacturing business, and a passionate determination to get ahead. When big-box retailer The Warehouse came calling with a big order, they thought their dreams had come true. Within four years they had lost almost everything. Judith’s Bell’s slogan: Don’t get mad, get even. 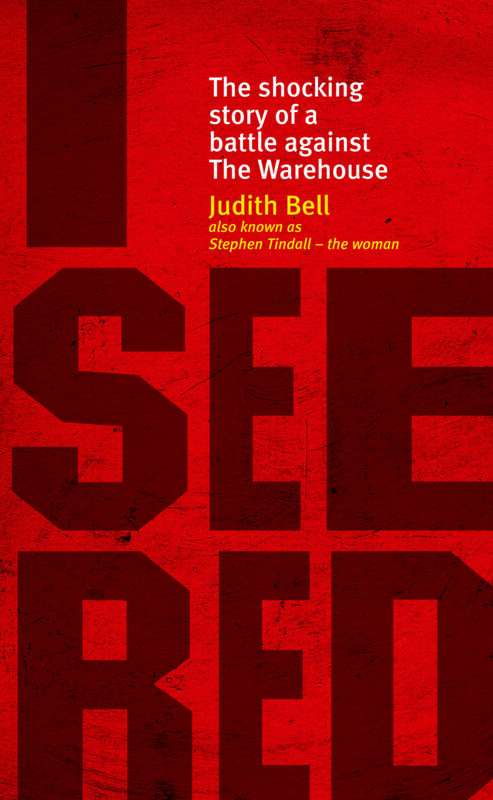 She takes The Warehouse to court, founds a campaign to support local manufacturers, changes her name to that of The Warehouse boss, Stephen Tindall, to draw attention to his company’s business practices, and wins support from thousands of people all over the country for her views, courage and fight for justice. This is one of the year’s most important books. The Warehouse is New Zealand’s largest retailer, with 127 stores and sales revenue of over $2 billion a year. But the facts are disturbing. The Warehouse claims to support Kiwi-made, yet over 80 percent of its products are imported. Its slogan is ‘where everyone gets a bargain’ but its “bargains” may come at tremendous cost to local retailers, manufacturers, workers, communities and ultimately the New Zealand economy. — Do we want an economy swamped with cheap, low-quality foreign imports and dominated by big-box retailers? — Shouldn’t local communities have more say over whether a Warehouse sets up in their town? — What will happen to New Zealand as more and more jobs are sent offshore? — Why is the government attempting to negotiate a free-trade agreement with China when conditions for workers there are among the worst in the world? — And most importantly – What are our values as a nation?